Are you looking for something big? This property has over 4, 500sq. ft. and 4.98 acres. Huge wrap-around deck and welcoming front porch where you will watch the magnificent sunsets. Located in a quaint fishing village, this could be an excellent investment and retirement possibilities available for a qualified buyer. Ninety year old motivated seller with owner financing potential. Farm Remarks: Reduced Again motivated seller! 4752sq. ft. Beautiful views of entire Chesapeake bay--watch the ships to and from Baltimore. 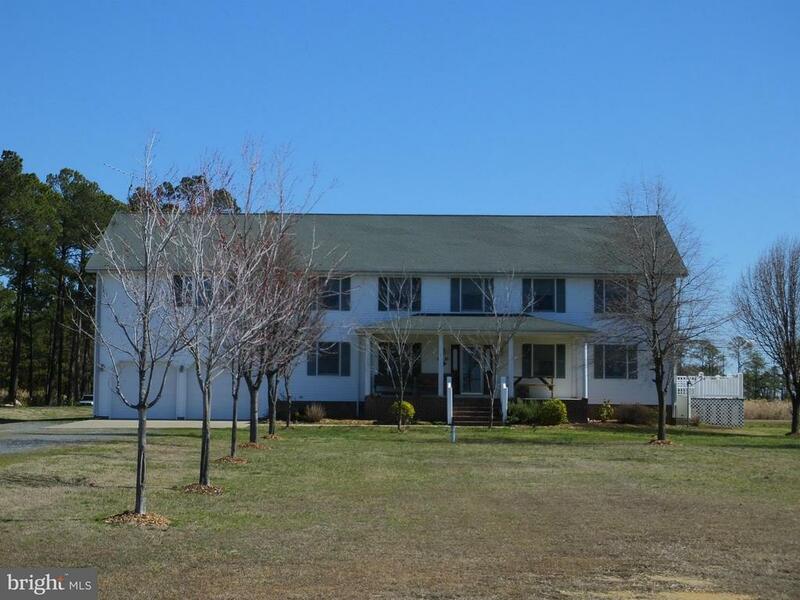 Large house on nicely landscaped 5 acre lot. Short walk to Old Saltys restaurant, marina and general store.Large garden space has blackberries next to small duck pond. Deer hunting possible on property. House features 2 zone heating with 6 inches of insulation throughout. Directions: Rt. 16 to Gootees' Marina, turn right, cross bridge to Hoopers Island. 1-3/4 mile on left.